Rhizogen brings novel agriculture products to the market with high performance true granular, microbial fertilizers that enhance agriculture growth across all market sectors. Our patented fertilizers contain billions of beneficial microbes plus mycorrhiza fungi which collectively increases soil biodiversity and enhance overall plant growth and yield. Rhizogen fertilizer stimulate plant root and crop growth. Our beneficial microbes function at the plant rhizosphere to aid in the uptake of nitrogen, phosphorus, potassium and other essential nutrients. 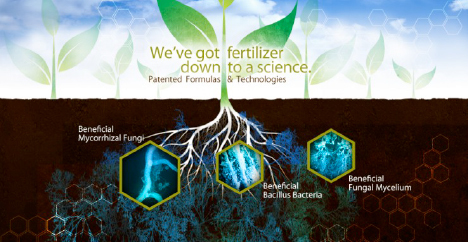 Rhizogen currently offers a select line of patented organic-certified granular microbial fertilizers. We look forward to discussing your soil and crop needs.